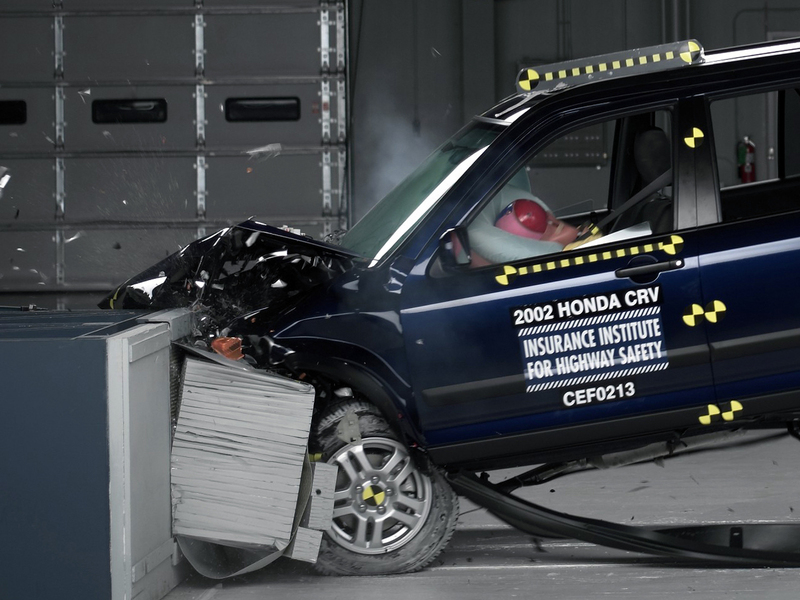 DETROIT -- Honda is adding hundreds of thousands of vehicles to a previously announced recall for passenger air bags that can explode with too much force and send shards of metal into the passenger compartment. The vehicles have air bag systems made by troubled parts supplier Takata Corp. and include older versions of the company's three most popular models, the Accord, Civic and CR-V.
Honda Motor Co. already was repairing the vehicles under a safety improvement campaign. The expanded recall announced Thursday night brings the vehicles under supervision of U.S. safety regulators. Owners will get new recall notices by mail. Honda says a precise number of vehicles being added isn't available. Honda has recalled about 5 million vehicles in the U.S. for Takata air bag problems. The expansion comes just a few days after the National Highway Traffic Safety Administration demanded information in an investigation from Honda about its air bag recalls. The agency is looking into whether Honda failed to report information as required by law. The newly recalled vehicles were sold or registered in 13 high-humidity states and territories. Humidity can cause the air bag propellant to burn too fast and potentially blow apart metal canisters. The problem has been linked to four deaths. The recall covers the 2003 to 2005 Accord, 2001-2005 Civic, 2002-2005 CR-V, 2003-2004 Element, 2002-2004 Odyssey, 2003-2005 Pilot and the 2006 Ridgeline. Also included are the 2003-2005 Acura MDX and the 2005 Acura RL. Affected states and territories include Alabama, Florida, Georgia, Hawaii, Louisiana, Mississippi, South Carolina, Texas, Puerto Rico, the U.S. Virgin Islands, Saipan, Guam and American Samoa. The Honda recalls are among nearly 8 million others made by 10 automakers, mainly in southern high humidity states, over the Takata air bags. Honda said it decided to expand the recall after consulting with Takata and NHTSA as they investigate why airborne moisture can cause the air bags to malfunction.